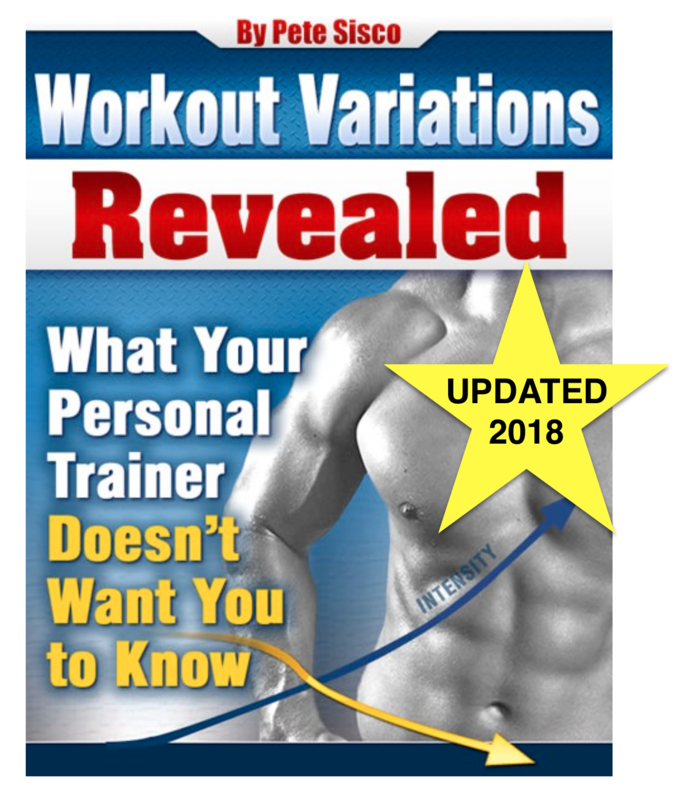 How Can I Train More Often? 2. I’m lifting weights every X days and I want to add running, cycling, swimming, martial arts, etc. The relevant issue here is the ability to fully recover from whatever exercise we do. Productive exercise triggers an adaptation. In the case of weightlifting the desired adaptation is increased strength, mass and size from new muscle growth. (Some people focus on just one or two of these or on all three. But they all flow from the same process. We lift weights to trigger muscle growth. A productive weightlifting workout triggers new muscle growth. (If your workout is running, swimming, martial arts, etc you have different objectives but in principle you want to get better, not worse or the same, at each activity.) A productive workout triggers change in your body. Before your body actually grows it first has to recover fully. That’s just the way we are wired. When you’re exhausted after running a marathon you aren’t suddenly able to run another marathon faster the next day. First you have to recover. Then your body improves a few things and then you can run faster or farther or both. The day after you set a record bench press you cannot best that new record. You have to recover first. Think of it this way; we each have a Bucket of Recovery. Let’s say your bucket gets supplied with 100 units of Recovery per week. Your Power Factor ‘A’ Workout depletes 25 units of recovery. Your Power Factor ‘B’ Workout depletes 40 units of recovery per week. That’s a total of 60 units per week. So you can do those two workouts every week, say on Monday and Thursday. Maybe you ride a bike for an hour and that’s another 10 units. Plus you golf on the weekend and that requires 10 units of recovery. So far, so good. Those numbers are sustainable. You subject your body to 80 units of exercise Intensity per week and have 100 units of Recovery to replenish it. What happens when you run a marathon on Sunday and that represents 250 units of Intensity? Do you think your Power Factor A and B workouts will still show improvement on Monday and Thursday? Or what happens a couple of months down the road when your ‘B’ Workout alone generates 150 units of Intensity because you’re doing leg presses with 1,500 lbs? How can anyone perform 150 units of Intensity per week and recover at a rate of 100 units per week? They wind down. They get tired or sick and they lose the will to return to the gym. Sound familiar? It’s an epidemic problem. It’s more common for this to happen than for it not to happen. Cookie cutter training schedules are stupid. Another thing we hear often is, “You say I can only train once every 10 days but my friend trains every two days and he’s doing great.” Well, in a nutshell, that’s because his bucket of recovery might be 600 units a week and yours is 100 units. You know the guys standing on the winners podium getting a medal around their necks at the Olympics? Those guys recover faster than you and I do. Way faster. Here’s an elderly couple who ran a marathon every day for 365 days in a row. They can completely recover from a marathon after one night’s sleep! Can you or I? I know I can’t and I don’t expect to ever develop that level of recovery. My bucket just doesn’t fill up that fast. This is another reason why cookie cutter training advice is so stupid. We all have different abilities to overload our bodies with Intensity and we have different size buckets of Recovery. Once you understand this you realize how absolutely critical it is to measure these things. How much Intensity was this workout? What is my personal rate of recovery? Your rate of recovery is one of the things that is improved by productive exercise. You might start out with a Bucket of Recovery that holds 100 units per week but a few months later it’s holding 350 units a week and later in the year it’s over 500 units a week. 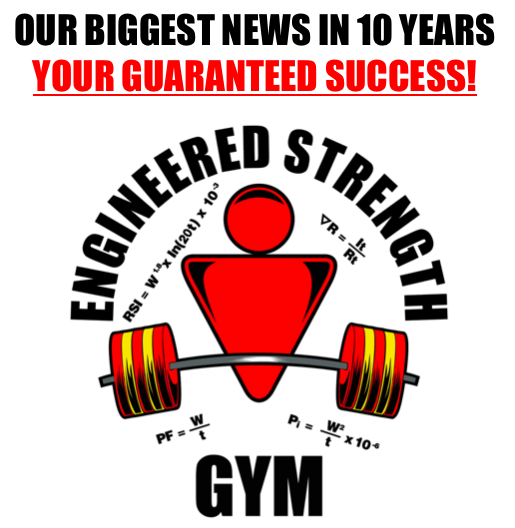 This is good because your Power Factor workouts will be delivering more intensity too. Your golf game and your hour-long bicycle ride might stay at about the same intensity for years and that’s fine, but other forms of exercise involve progression and that’s something you need to be aware of and track. These are not etherial, unknowable abilities. The folks using the ENGINEERED STRENGTH GYM have both their exercise Intensity and their Recovery quantified and tracked. For example, if a person can perform a bench press for 60 seconds and in that time press 200 lbs 25 times it means he lifted a total of 5,000 lbs in one minute or 5,000 lbs/min. That’s his intensity. Once we measure both the Intensity of every exercise during every workout and we monitor Recovery to see whether the time allowed was adequate we remove the guesswork and error from strength training. Soon we know for a fact what your personal recovery bucket will hold and we know exactly how to work with what we have. I understand Power factor training I use the routine and love it! I am more in tune with my body.My only question is about nutrition. What type of diet do you recommend. Example what types of protein carbs and fats do you recommend.Is their any truth to eating every three hours? I understand caloric intake but do you break them down to every three hours or is that wrong to eat every three hours? Do some proteins p.e.r. ratings make them beter? And is their any truth about the (open window) after the workout? I don’t do any research on diet and nutrition. And I know it’s hard to find unbiased advice. The supplement industry has made nutrition a quagmire. Mr. Cisco,forgive me for putting you on the spot about nutrition.I have a degree in sports nutrition,I make diets for gym members and I work part time in a nutrition stores.First of all 90% of gym members overtrain.Overtraining is the sickness and steroids are the cure. Supplements are useless!The only thing that is very useful is udo’s oil which contain all the essential fatty acids and omegas 3,6&9 and mct’s.oil The biggest problem is people eat too much protein! That puts a big strain on your kidneys.The people who eat alot of protein is because they are on steroids!People make things complicated and get frustrated.Just eat a healthy diet from wholesome food and stop listening to these fad diets! They are no good in the long run.. Stop trying to count calories and weigh your food and keep track of portions.Eat a diet from the four food groups,Stay away from processed and fried foods.Stay away from organic food I have done a study on it and it’s the latest scam! You’re body doesn’t know where it came from.You should eat three balanced meals a day and 2 snacks like a piece of cheese,yogurt .raw nuts cottage cheese and fruit.Your body needs natural protein not carbs every 3 hours to repair muscle tissue.To prove it a baby needs food every 3 hours to grow! Eat the snacks I recommended and stay away from protein powders and fad diets.These diets are made to sell books! With a good diet and a train in a proven workout like Power Factor and you’ll be on your way to better health and a great natural muscular body! Remember K.I.S.S.